I loved it. It was such a non-New York solution. At Citi Field or Yankee Stadium (or hell, at most other places), fans would’ve been forced to wait while the scanners got up and running. 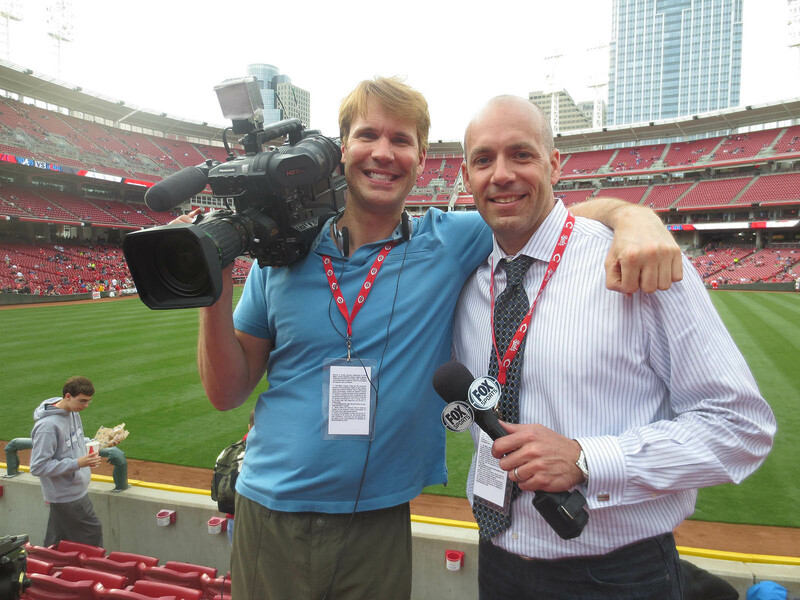 In the photo above, the guy on the left was from FOX Channel 19, and the guy on the right was from ABC Channel 9. 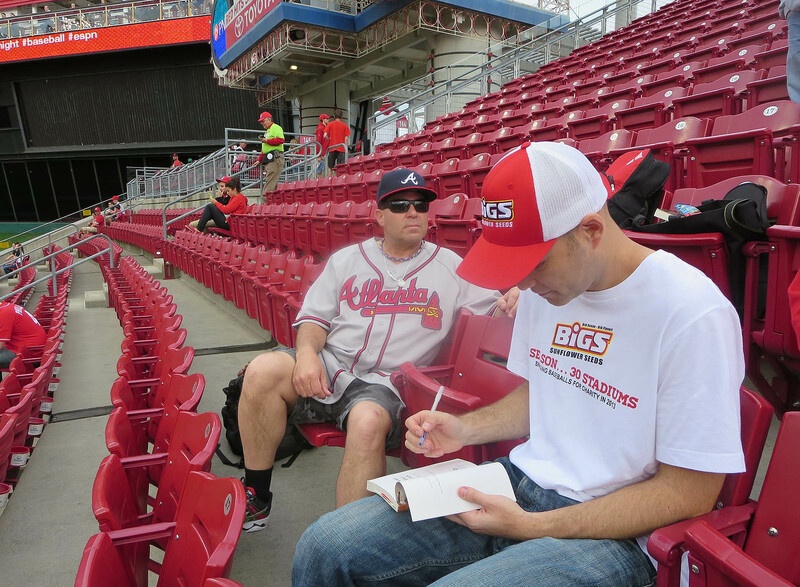 That photo, along with all the others of me, was taken by Neal Stewart from BIGS Sunflower Seeds. 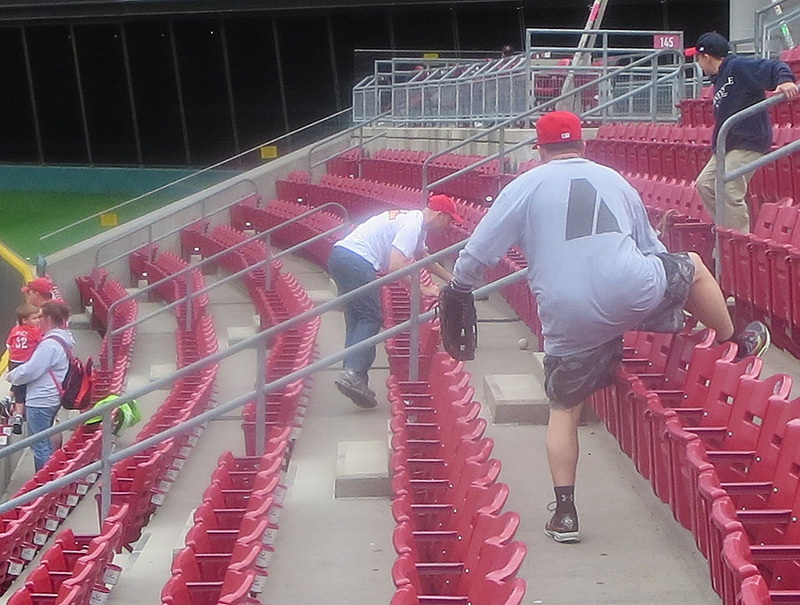 And by the way, do you see the guy wearing shorts who’s climbing down over a row of seats? That’s my buddy Rocco Sinisi, a regular at Great American who has snagged approximately 800 baseballs. More on him in a bit . . . I used my glove trick to snag my 5th ball off the warning track in right-center. Then I made a nifty play for my 6th ball — a homer that landed 15 feet to my left and more than half a dozen rows back; I climbed/jumped to my left over a railing, ran through an empty row, and caught the ball as it ricocheted down unexpectedly right to me. 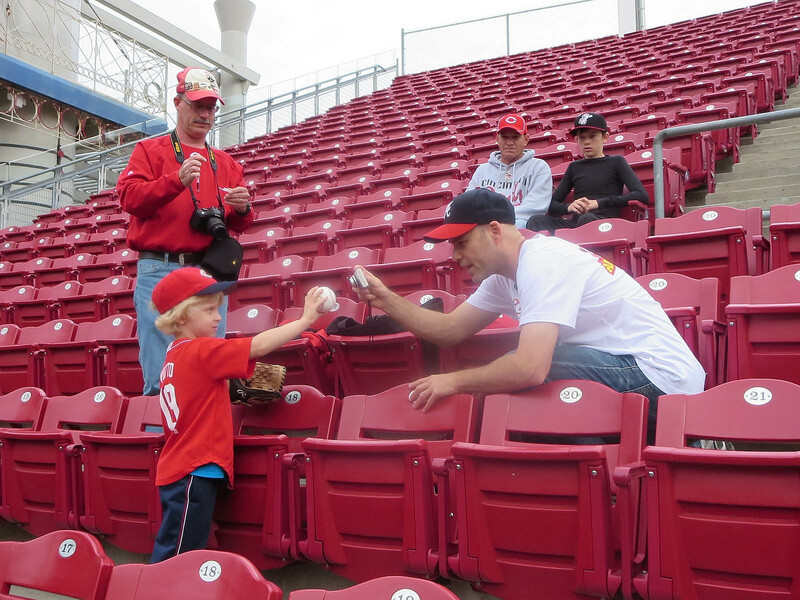 I handed it to the nearest kid (who ended up snagging a couple more baseballs on his own). My 7th ball was thrown by Aroldis Chapman after I asked him for it in Spanish. Several minutes later, a ball rolled onto the warning track, and I set up my glove trick again. 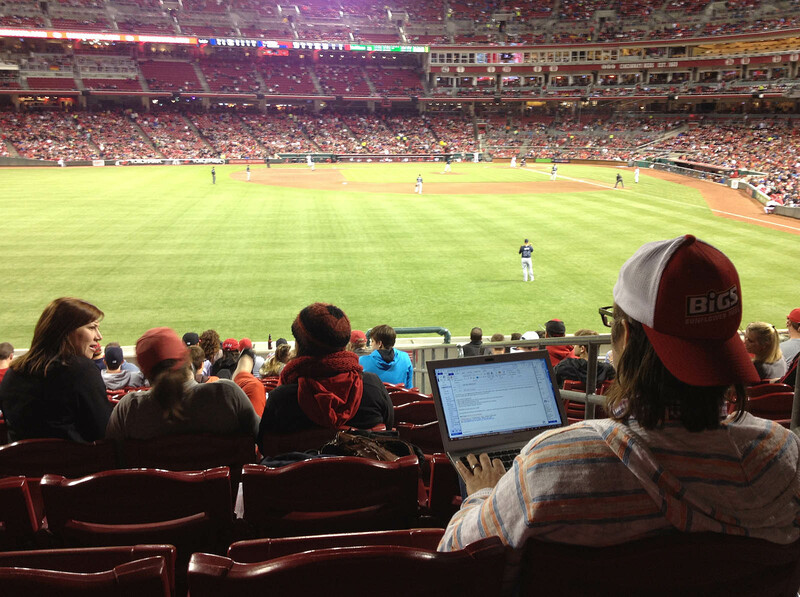 “That’s not gonna work!” yelled Homer Bailey from right-center field. “Wanna bet? !” I yelled back. Then I went to work . . .
. . . and snagged the ball within 10 seconds. I shouted at Bailey, but he didn’t even look at me — but hey, at least he (and Marshall) were nice enough to have left the ball there. 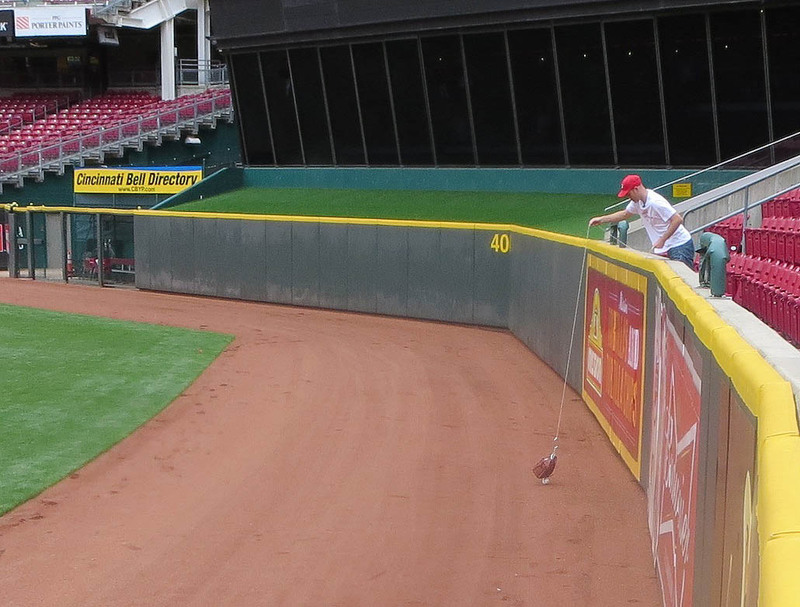 Many players would’ve jogged over and grabbed it, so I tip my cap to the Reds (and to stadium security) for being so cool. My 10th ball was a towering home run — possibly hit by Freddie Freeman — that carried perfectly to my spot in the front row. 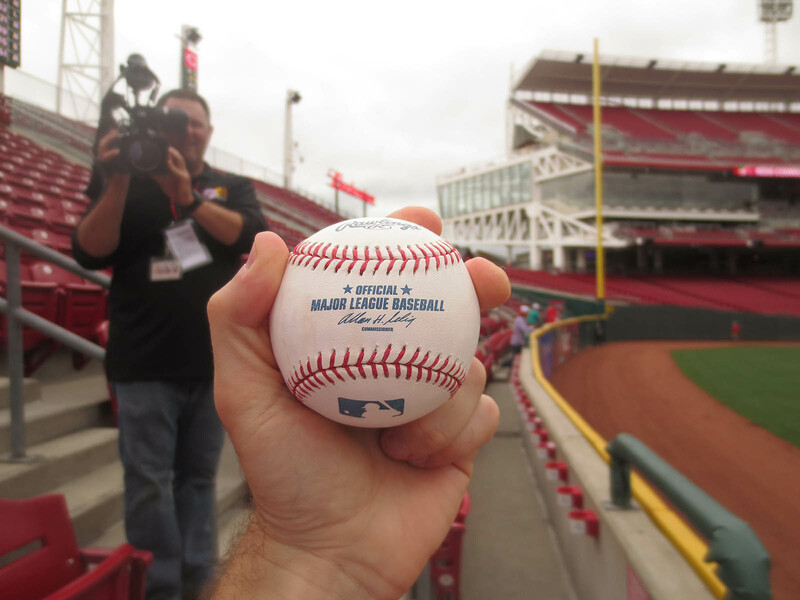 I caught it on the fly, and soon after that, I got my 11th ball tossed by Julio Teheran. 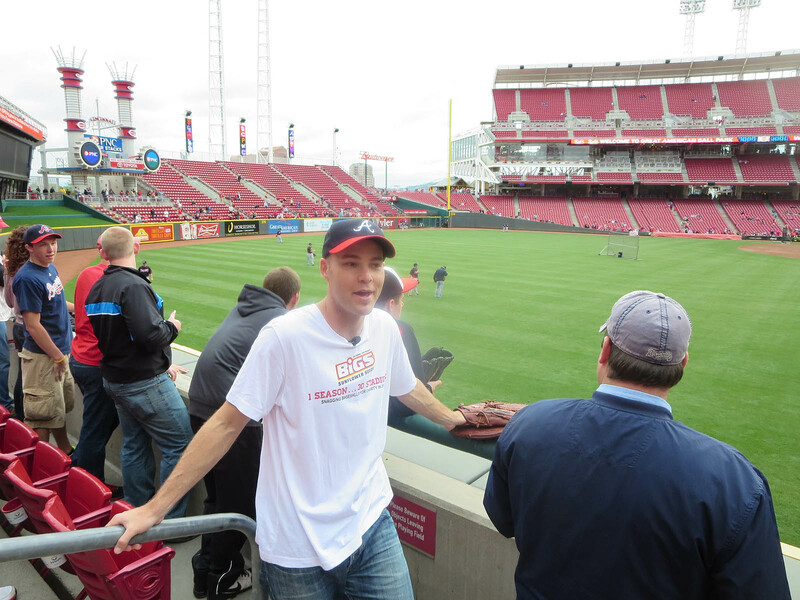 My 12th ball was a *DEEP* home run that must’ve landed 15 to 20 rows back; luck, evidently, was on my side because it ricocheted right down to me as several other fans were converging on it. That photo was taken just after I climbed/straddled a railing to catch a line-drive homer on the fly — my 13th ball of the day. Unfortunately, the cameraman from ABC had already taken off, and the guy from FOX hadn’t quite set up his camera in this new location. This was the fifth home run that I caught on the fly, and I’m not sure if the TV cameras captured any decent footage. 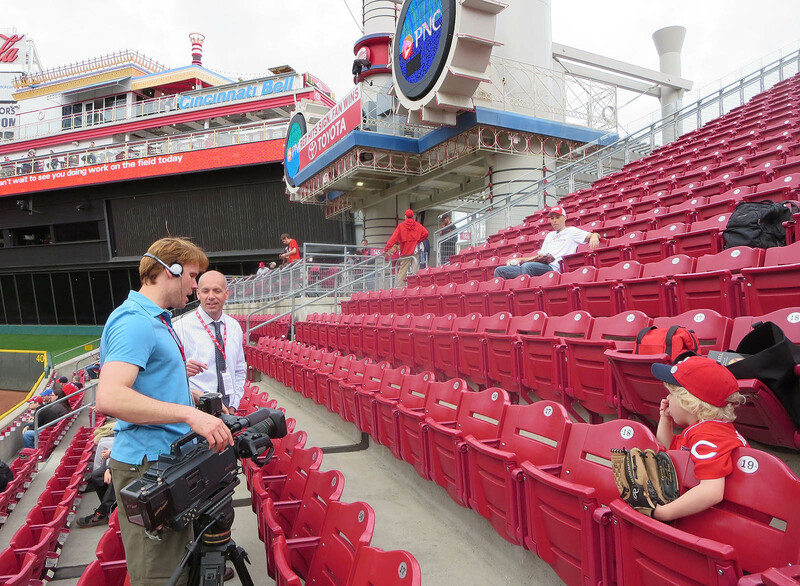 I know that on several occasions, one of the cameramen appeared in the other guy’s shot, rendering it useless. The guy in the blue shirt was the cameraman. His name is Matt Coiner. The guy in the white shirt was the reporter. His name is Brian Giesenschlag. Nate was chillin’ on the right, and you can see me sitting several rows up. I was still miked, so I didn’t need to shout for the camera to pick up what I was saying. The other cameraman from ABC was named Lanny. (Yes, Lanny. Not Lenny.) He did a fine job too, but I didn’t get to talk to him much off camera because he had to go film some other stuff. He ended up getting some shots of me going for 3rd-out balls early in the game, but then he had to leave for good at around 8pm. His piece was going to air at 11pm that night, whereas Brian (from FOX) was going to take more time to edit the footage and run the segment a few days later. 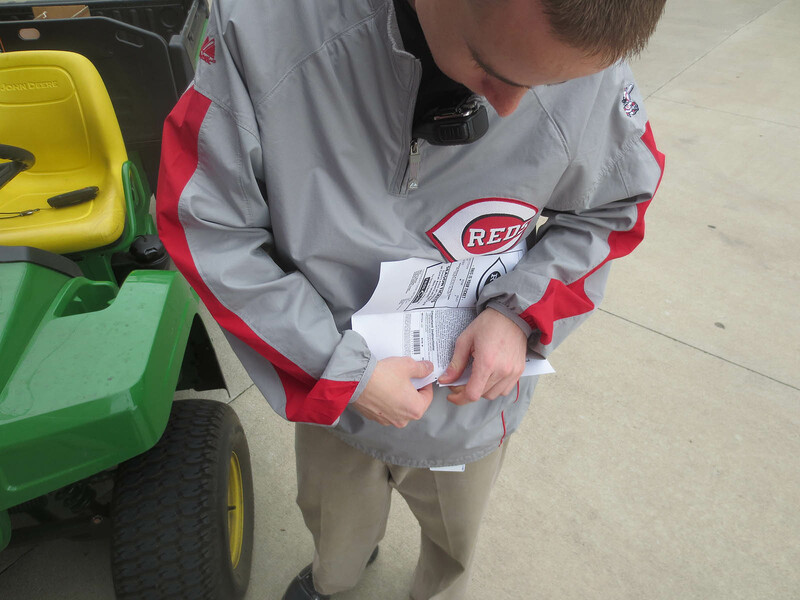 Then I signed Rocco’s copy of Watching Baseball Smarter . . . I don’t know why Rocco wasn’t smiling; he’d snagged eight balls during BP. I don’t have any photos from the first two hours of the game. That’s because I spent the time running back and forth between the left field seats and the Braves’ dugout; Neal was watching my backpack for me, so I didn’t have my camera. Basically, I tried to catch a home run in the top half of every inning, and when when the Braves took the field, I headed into foul territory to try to snag a 3rd-out ball. Six innings. That’s how long it took. 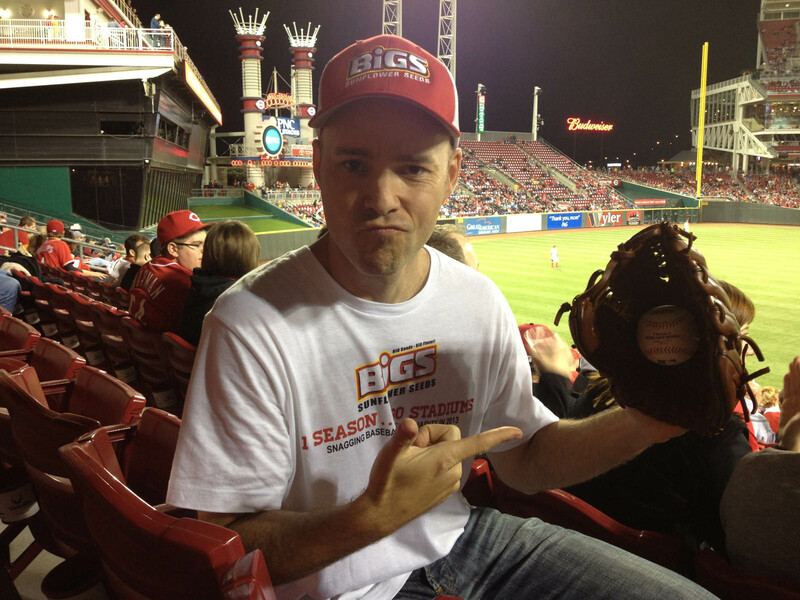 That’s when Devin Mesoraco went down on strikes, and Brian McCann tossed me the ball on his way in. 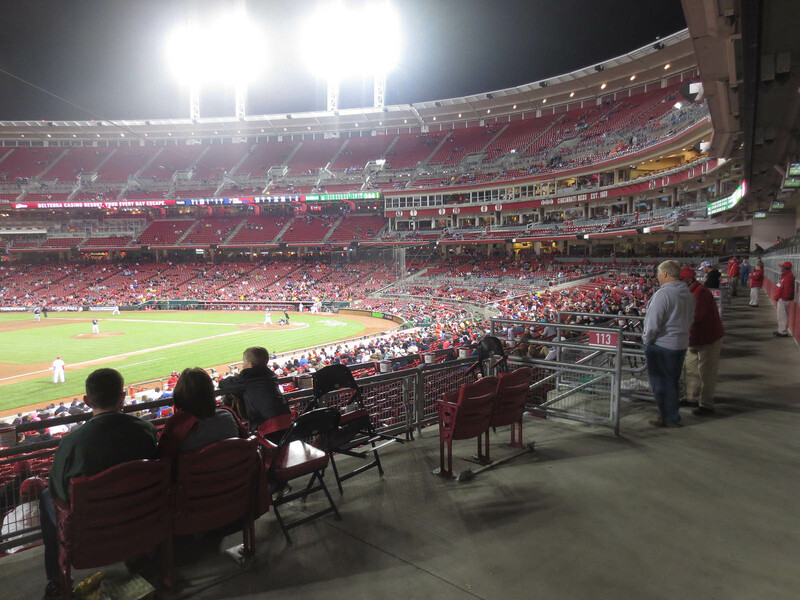 Given the fact that this was gonna be my only game in Cincinnati this season and a $500 donation for Pitch In For Baseball was riding on it, it was a *huge* relief. I emailed that photo to Lanny, who ended up using it in the segment. 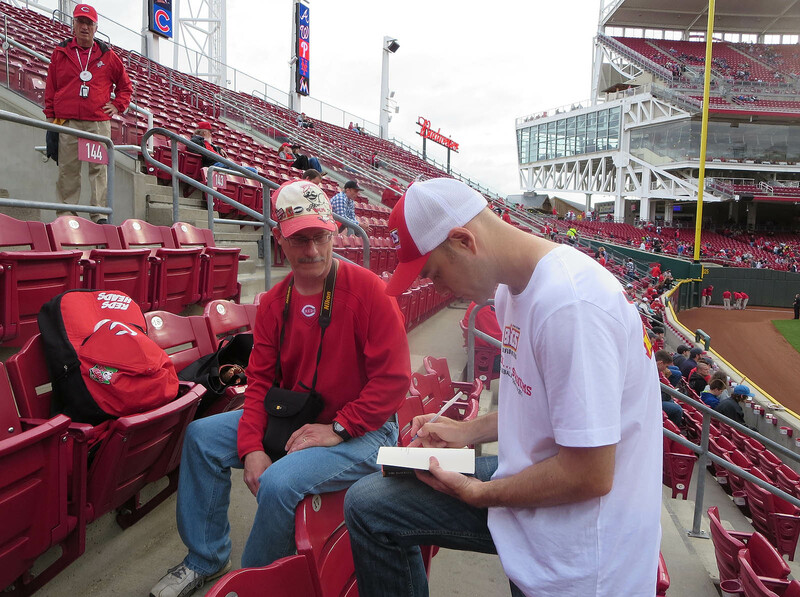 Earlier in the game, when I was standing there for one of Joey Votto’s at-bats, an elderly usher approached me and asked if I was waiting for someone. The usher chuckled and told me that I could stand there for a minute, but then I had to find my seat. 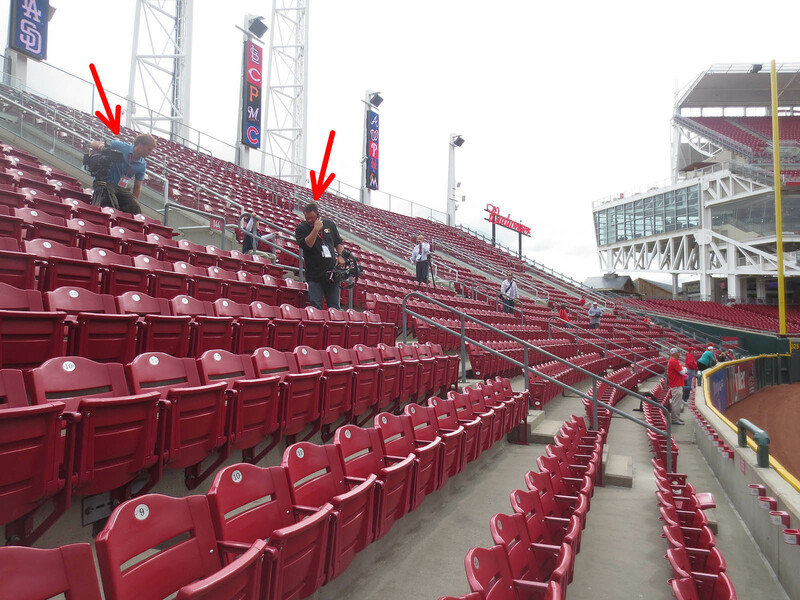 In Votto’s next at-bat, when I was sitting 380 feet from home plate in left-center field, he hit a foul ball to that EXACT spot. I’m really trying hard to snag some non-3rd-out gamers, but other than that April 18th game at Yankee Stadium, luck has not been on my side. As good as he is, it seemed like he had no chance against Craig Kimbrel. He managed to hit a foul ball on the first pitch, but ultimately went down swinging. 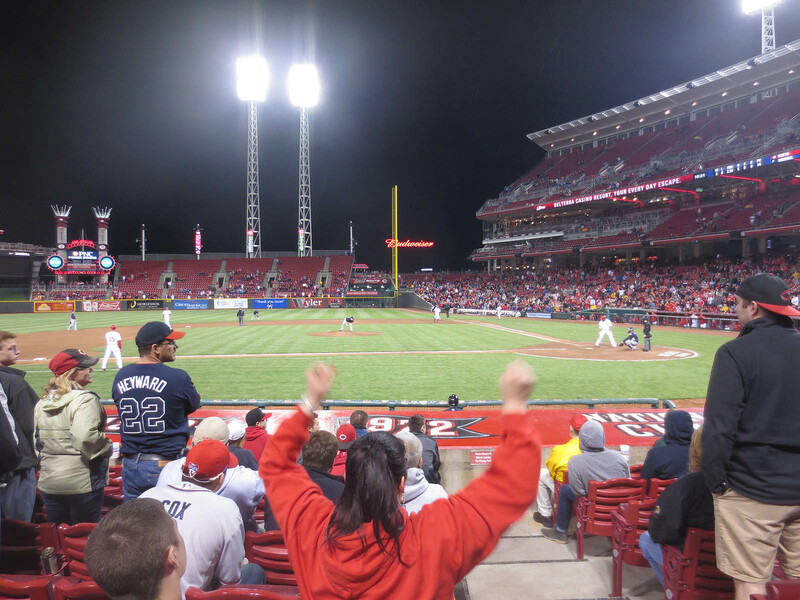 Final score: Braves 7, Reds 4. I’ve been to several games at which Kimbrel has gotten a save. He always seems to toss the game-ending ball into the crowd, but when I asked him for it here in Cincinnati, he gave me a Dikembe Mutombo finger wag. You see, Kimbrel recognizes me (as does his teammate Kris Medlen) and refuses to toss me baseballs. I can’t blame him, although I wonder if he knows about my charitable efforts — and if that would change his mind. If anyone knows him or gets a chance to talk to him or feels like tweeting him (@kimbrel46), do me a favor and let him know that I’m not the worst guy in the world. I mean, it’s not like he’s rude or anything. 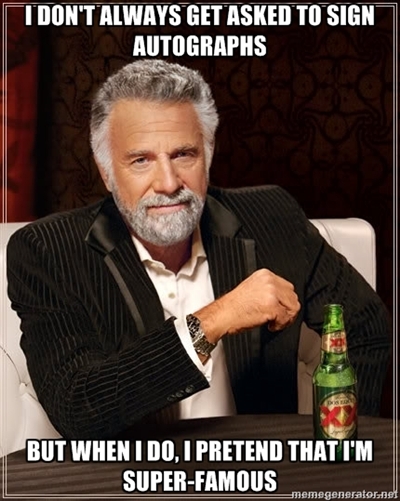 I think it’s cool that such a talented and popular player knows who I am, but still, I wanna set the record straight. On my out, I gave away another ball to a little kid and caught up with Rocco to say goodbye. I wish I could spend a solid week at all of these stadiums instead of one game. Everything feels so rushed. Given the fact that we had to be in Cleveland the following day, Neal and I hit the road and drove two hours to Columbus, Ohio. 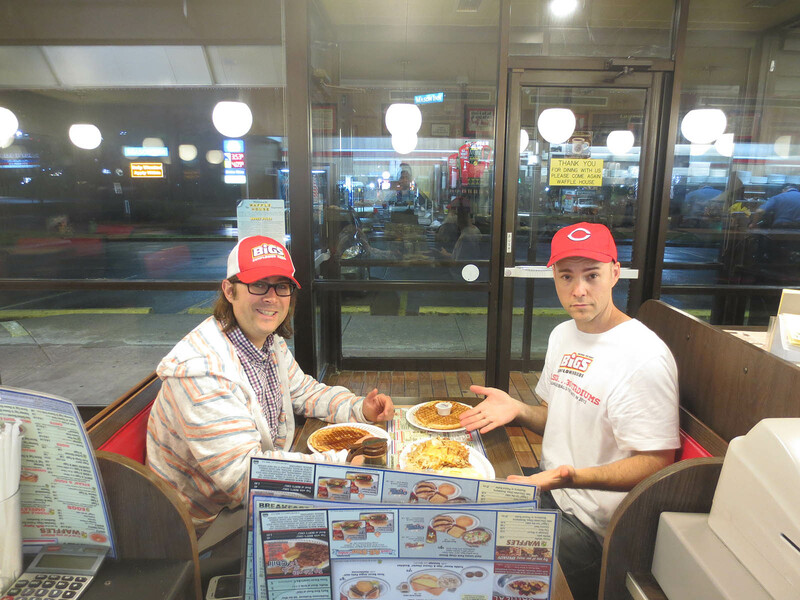 We stopped along the way at Waffle House . . .
. . . which is truly one of my favorite places to eat. We checked into our hotel at around 1:30am, and I went to sleep three hours later. What can I say? As a general rule, I have too much energy and too little motivation to get into bed. • 146 balls in 19 games this season = 7.68 balls per game. 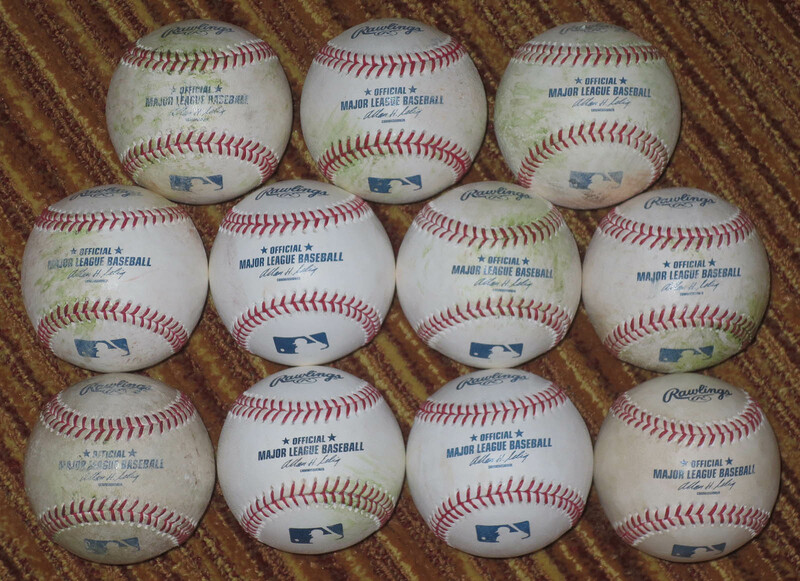 • 87 balls in 6 lifetime games at Great American Ball Park = 14.5 balls per game. I love reading your blog, I have season tickets to the Dodgers and have onlly caught one bp ball in my life. You are amazing. I just finished my first book, Double A Blues. Check it out at http://www.doubleablues.com. I would love to send you a copy. Let me know if you would like to give it a read. In a few words, it’s the story of how a man’s journey to the big leagues and a shot a love are threatened by a secret. Oddly enough, the main character,s name is Zach. Not quite your name but close. GAB looks like a great stadium, hopefully ill be able to get out there sometime soon and check it out for myself. Good job getting the 3rd out ball, but don’t worry i’m sure you will get another homer or a foul ball sometime soon. Maybe you should bring me or Jeremy to a game for some of that homer luck haha. Good luck on your ballpark tours. 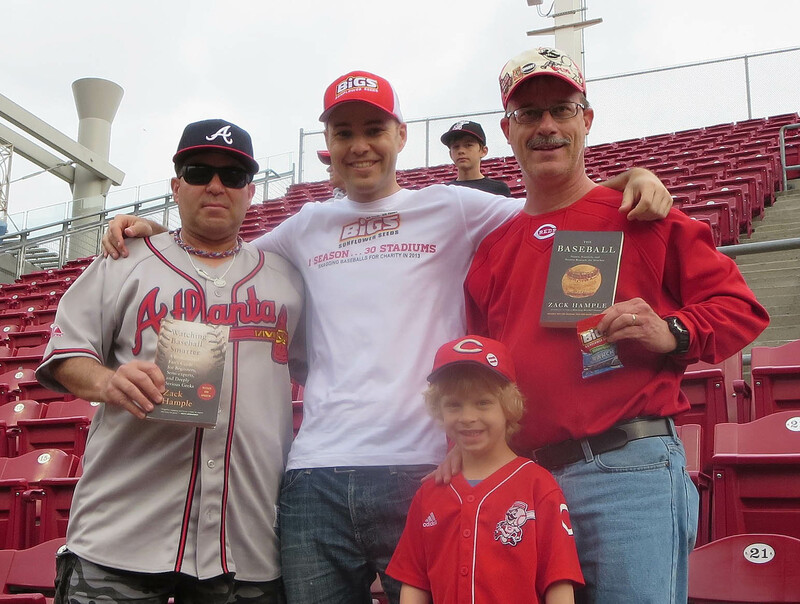 My family and I met you at GABP during batting practice. I asked you about the charity that you’re catching balls for. I thought this guy must be crazy until I took time out to ask why you wanted so many balls. I try to take son to as many Reds games I can because we boh love baseball. 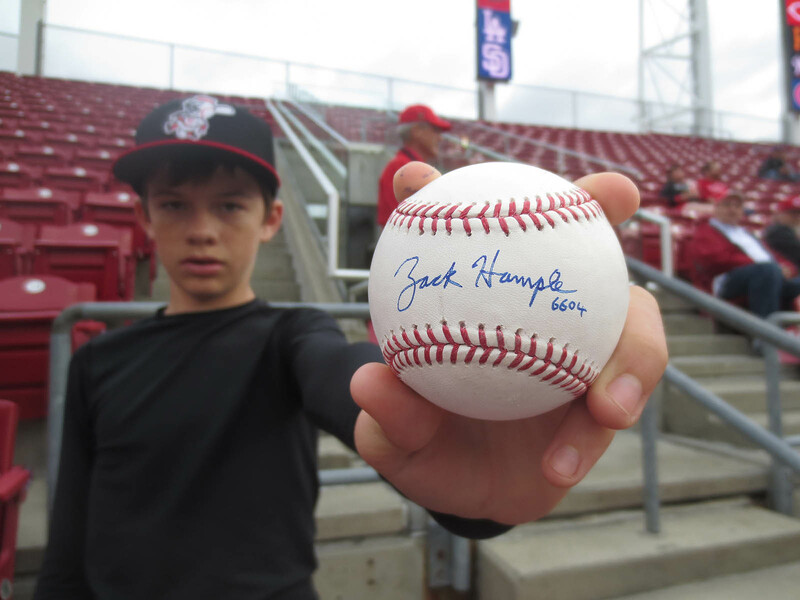 He uses the balls to get autographs and has a shelve of a total of 25 signed by players. I just wanted to say don’t let the hatters get to you everyone has a hobby and baseball collecting is yours . Good luck in your travels. Zack, great having you in the house! I had a blast, and I was smiling in the photo! (“Military men” don’t smile really big in photos…have you ever seen a General, like General Patton or Rommel smile really big in a photo before? It’s a military thing, sorry) Thx for signing the book! Say hi to Neal…he was cool. Zack, sorry to have missed you. Silly Homer. And Patrick, where can I get a copy? P.S. Matt and Brian did a segment on me as well. Solid guys! Great entry, crazy as usual. Someday when I win the lottery and do a stadium tour, I’ll bring you with me. For free. As for luck, it could be worse, you could be getting hit with rain-outs. We are wrapping up editing now. You can read about it and even preorder a copy at http://www.doubleablues.com. I swear Rocco was a reds the last time I seem him. Nice job Zack! You always seem to have huge snagging totals in Cincinnati. I was wondering if you saw that the Cardinals are using commemorative baseballs this year in honor of Stan Musial, they look pretty cool. Hope you snag one! Your impeccable spelling and punctuation never ceases to amaze. Keep up the good English. Nice work on the homers. Memories of a day at Citizens Bank park. Thanks very much. I’d be delighted to receive a copy of your book, but it’ll be at least six months before I can look at it — maybe more. I’m so busy with so many things right now that I can barely keep up with my own writing. That said, if you still feel like it, drop it in the mail to me at my family’s bookstore, the Argosy. You can find the address on their site — http://www.argosybooks.com. Well, you called it. Roughly 17 hours after you posted that comment, I snagged an Adam Jones foul ball in Baltimore. Heh, thanks for noticing it. I appreciate your comment and also the fact that you took the time to talk to me rather than jumping to negative conclusions (as many people seem to do). The autographs shelf sounds cool. I hope you guys are able to add many more baseballs/signatures to it. Great to finally meet you, but your attendance prediction was a bit off. Not sure why there were 11,000 more fans at the game that *I* attended, but that’s just my luck. Military men. That’s your excuse? Hmph. Fine. I guess I’ll accept that. Sorry to hear that stadium security is giving you such a hard time. That’s no fun. But what’s this about Jabs? He got ejected?! I’m sorry too. Next time . . . Sounds good. I’m gonna hold you to it. I’m pretty sure that those Musial balls were only used during one game. I thought about flying out for it, but it was too expensive. Thank you! We did have fun in Philly, eh? 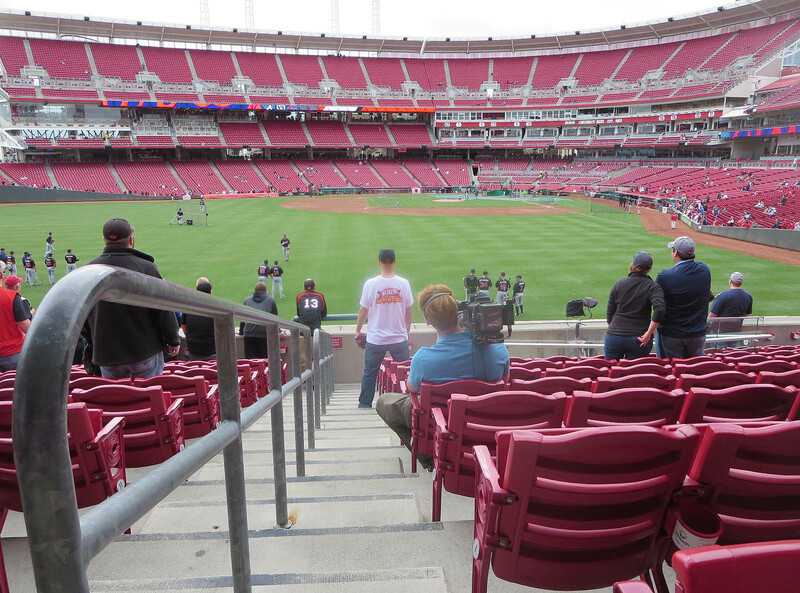 The Sun/Moon Deck at Great American Ballpark is one of the best areas in Major League Baseballs for home runs. Have seen a countless amount of balls hit out there. Glad you got to visit my home ballpark! 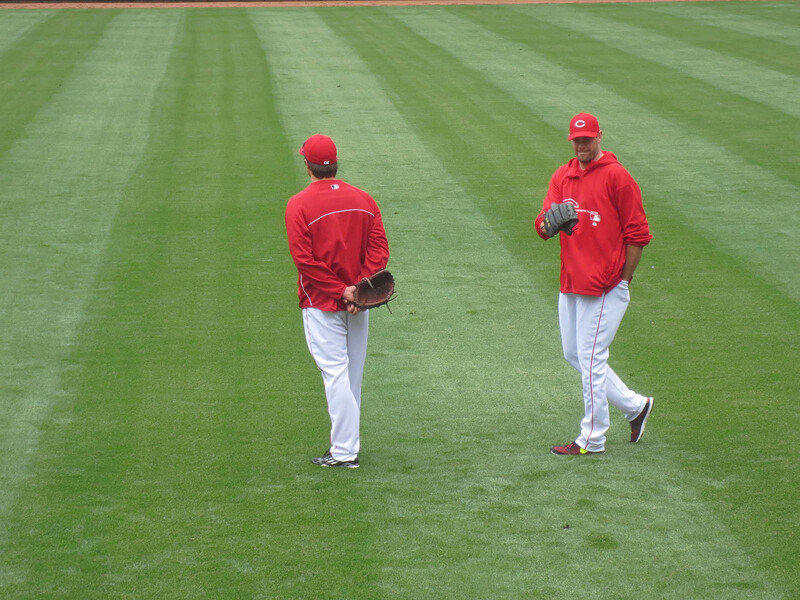 I always seem to put up big numbers in BP in Cincy. Wish I could be there for 20 games every season. Howdy Zack I only found out about you a couple of days ago but I really admire your techniques and your skill getting balls. 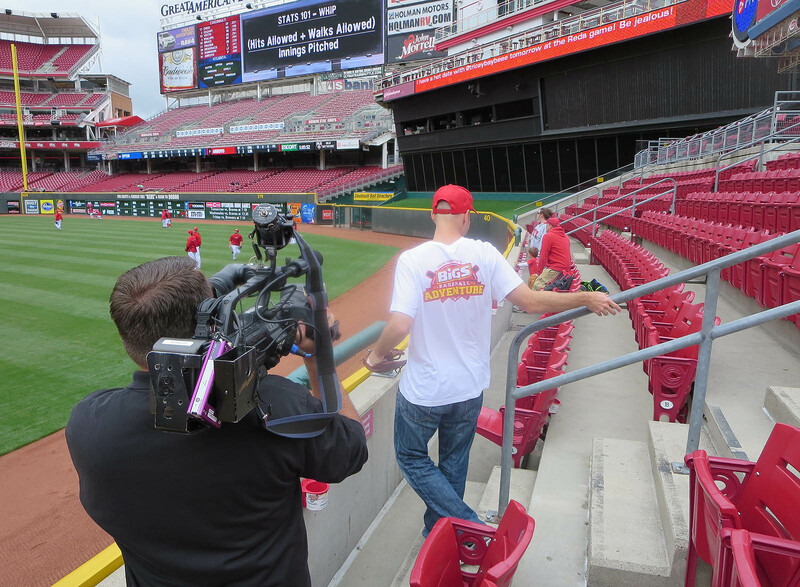 I was wondering what the policy for getting in was at GABP about getting in early. I would like to get there during batting practice and I’m 14 and I don’t really have much experience going to games and stuff. Do I have to have some kind of season ticket or what? 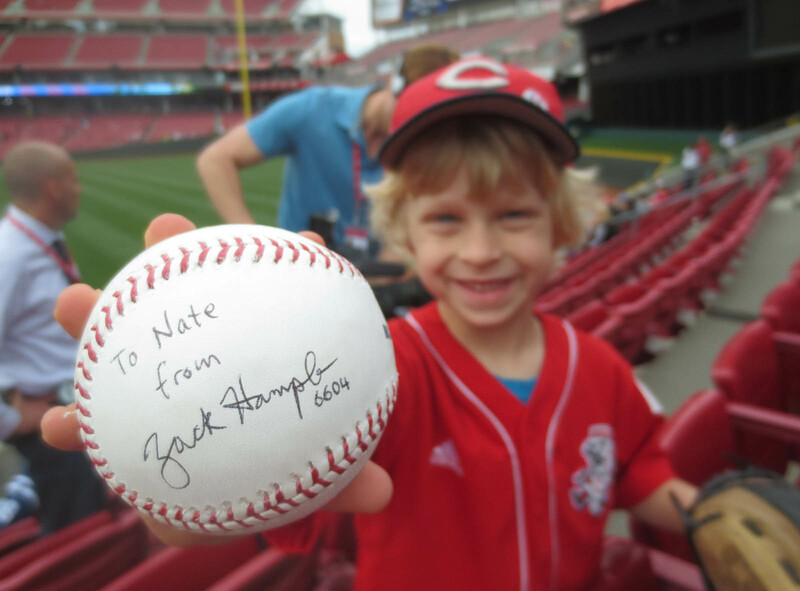 Hey, Nick, you need a ticket for the game (any ticket will do) plus a special BP ticket that you can buy at the Reds Hall of Fame. Good luck! Hope that helps.